"Karun and Bruno are known quantities, but can you tell us a little bit about yourself?" It was a question I'd posed to Dilbagh Gill at the Mahindra Racing press conference in 2014. 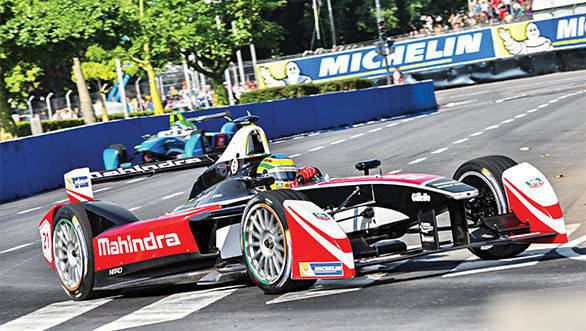 The team, with drivers Karun Chandhok and Bruno Senna, had gathered at the Media Cube at Mahindra Towers in Worli and various announcements were being made about their foray into this all-new all-electric form of racing. It really wasn't that I had meant to put Gill on the spot. Rather, it was a genuine question. I'd never heard of Dilbagh Gill before. 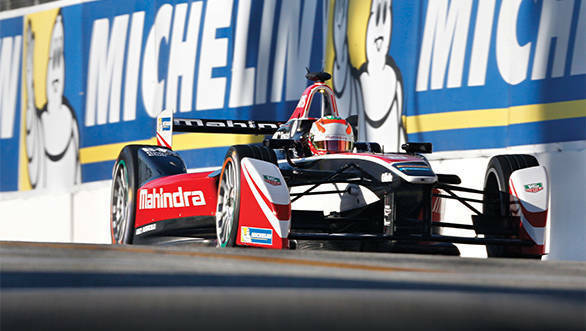 And I truly wanted to know what made him the right man for the job of team principal of Mahindra's Formula E team. Gill gamely introduced himself at the press conference. But it was later, when I'd snagged a proper sit-down interview with him, that he told me of his own experience with motorsport. He had, in the past, dabbled in rallying himself. And then moved on to working with J Anand, preparing rally cars and racecars too for Team MRF. However, his biggest strength appeared to be in the field of Information Technology, working with A1 GP, the FIFA World Cup and later heading the Mahindra-Satyam tie-up. Did this experience mean he was qualified to run the whole team? "I don't know what I don't know," Gill said, before continuing, "At the same time, I feel I have enough knowledge to put together a team. I'm not driving the car, thankfully, but putting together a team, that will optimally and efficiently work." 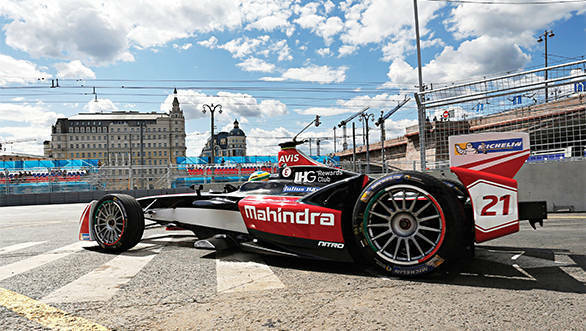 The team consisted of drivers Chandhok and Senna, with engineering expertise from Mahindra's electric car arm, Mahindra-Reva. Motorsport experience came in from Carlin, the team whose tagline is 'Tomorrow's F1 stars today'. Of course, it's a tagline that the Trevor Carlin-run team lives up to, given that the likes of Nico Rosberg, Sebastian Vettel, Daniel Ricciardo and Felipe Nasr, just of the current crop of F1 drivers, have all been Carlin protégés at some point or the other. As also was Indian driver Narain Karthikeyan. The fact that Carlin had the most experience working with the Dallara chassis was something that Mahindra believed could tip things in their favour. The goal, Gill made it clear, wasn't to just make up the numbers on the grid. Instead, it was to be something of a benchmark to the other teams. When the first race of the season came around at Beijing in September 2014, it looked like Mahindra were set to do exactly what it was that they had set out to. 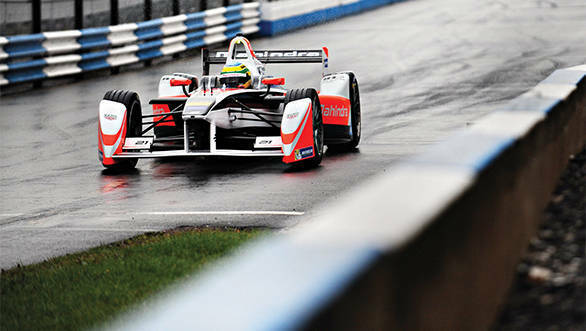 Bruno Senna had the fastest lap in the second free practice session, even though issues with his car saw him qualify 19th on the grid. Then he went and crashed out on the first lap of the race. But it didn't seem like a cause for alarm. It was the first race of the season, after all, and teething trouble was expected. 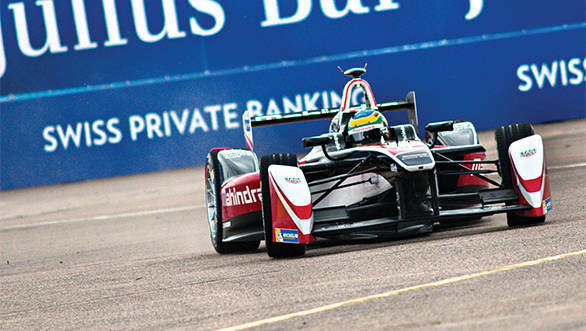 Chandhok, meanwhile, had qualified fourth, and finished the race eighth on track. After post-race penalties were doled out, he found himself elevated to fifth on the results sheet. When the second race of the season was held at Putrajaya in Malaysia, Chandhok had once again outqualified his team-mate, with sixth place on the grid to Bruno's ninth. Once again Senna crashed out, and Chandhok, despite a botched pitstop that cost him 14 seconds, ended up fifth on the grid. Things weren't quite shaping up the way the team wanted. However, it was still early days. But as race after race went by, the results didn't seem to improve. By the time they got to the eighth round of the championship at Berlin, the team knew they were in trouble. Senna and Chandhok qualified 18th and 20th. They finished the race 17th and 18th. It wasn't something to write home about. When the results of the two drivers were compared at the end of the season, Chandhok had outperformed Senna, finishing better than him in seven out of the eleven races. However, despite his extremely erratic performance, and despite crashes and inconsistency, Senna had earned more points in the races that he did finish. 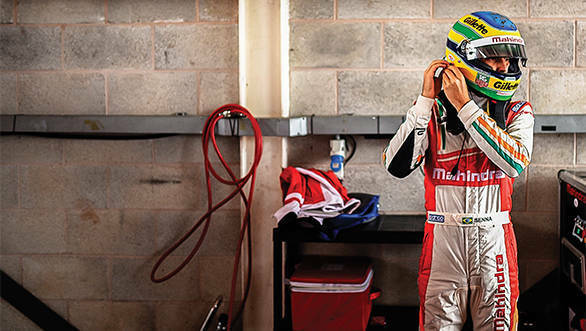 Senna, with 40 points ,was tenth in the championship, while Karun, with 18 points, was 17th. Mahindra weren't impressed with the performance of either driver. Well, they weren't pleased with their eighth place finish out of ten teams either. "Motorsport needs constant resources and constant development and that's something we dropped the ball on a little last year," Gill says. The team had potential, but they didn't deliver the way they ought to have. As Gill puts it, they wish they had made fewer mistakes. But clearly what's done is done, and so the team set about doing an overhaul. One of the first people culled in this overhaul was Karun. It wasn't so much the case of a terminated contract, but that of a contract not being renewed. They saw him through his one year with the team, a period during which Karun was responsible in terms of driver feedback for development of the car, also focussing on engineering aspects with the team. And while he isn't driving for the team any longer, his relationship with Mahindra will continue. "Bruno delighted us with his pace, but frustrated us with his lack of consistency," Gill says. The many DNFs really didn't help the Brazilian's case. And even as they were searching for replacements for Chandhok, Senna's seat wasn't entirely out of danger. Mahindra at one point considered three new drivers. Drivers with Formula E experience. 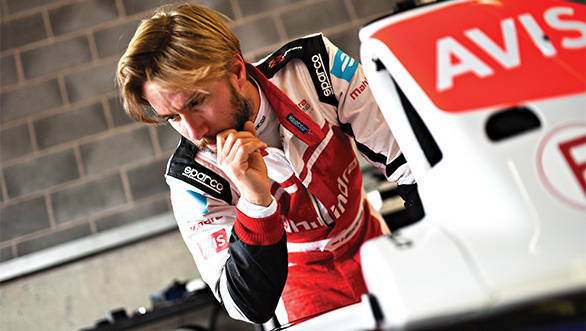 Ultimately though, they settled on Nick Heidfeld, who has already impressed, going out on track, putting in lap after lap and giving them valuable data. Senna was allowed to keep his seat. I ask why they decided against three new drivers, but Gill merely says that now that they have given Bruno a car he is more comfortable with, and given that the number of mistakes he's made during testing have come down considerably, they're sure his race performance will improve too. Even so, one wouldn't be surprised to find that Senna is on a race-by-race, under-observation, contract. Gill doesn't respond to that question though. So I move on to asking him if there are regrets about the driver choice for Season 1. "No. If there were, we would have changed our drivers mid-season," he says. And even though he says this, there were some eyebrows that were raised when Chandhok was selected as one of the drivers. 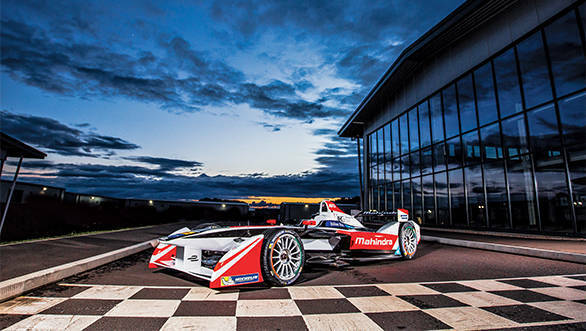 Rumours abounded that he'd been responsible for putting Formula E and Mahindra together, while rumours also abounded that Mahindra was considering another Indian driver to be the face of their team. Senna being chosen to partner Chandhok also had people wonder a little bit. But that was then, and speculation aside, changes have been made for Season 2. The changes don't just extend to the drivers. They extend to the core team as well. 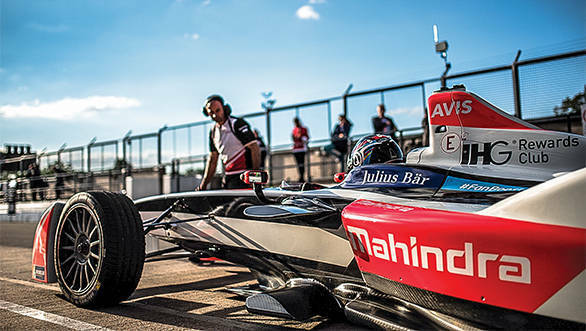 While most of Mahindra Racing's Formula E operations were outsourced to Carlin in the first season, the two have since parted ways. Campos, who won the championship last year, have stepped in to support Mahindra, while seven engineers from within the Mahindra team take charge of the racing operations. "The engineering focus will be led by Mahindra, with Campos in a supporting role," Gill says. Was it a mistake, then, to have gone with Carlin for the first season? "No, I think Trevor Carlin and his team were the right choice and did a terrific job for the first season and brought us to where we are, even in hindsight. But we jointly didn't allocate resources correctly," Gill says a little wistfully. It's something that is in evidence from the team's performance in Season 1. While the rest of the teams on the grid appeared to have made rapid progress, Mahindra stagnated, not once bringing both cars home in the points. Focus on development has certainly been intensified for Season 2 though, in an attempt to correct mistakes from Season 1, with development on the M2 Electro having begun last November. McLaren was brought in to develop the motor, gearbox, rear suspension and cooling systems, with Mahindra having access to the intellectual property for all of this, and Reva drawing up initial designs as well as supervising the work of the vendors. This has resulted in a motor in the M2 Electro that delivers 20 per cent more torque and revs 15 per cent higher than the motor from the M1 Electro. The results in testing have been consistent, with the team finishing all 15 days of testing at Donington Park, and living up to his nickname of Quick Nick. For Gill, though, the sleepless nights are a lot more than in Season 1. "I know a lot more than I knew last year and that gets me worried," he says. 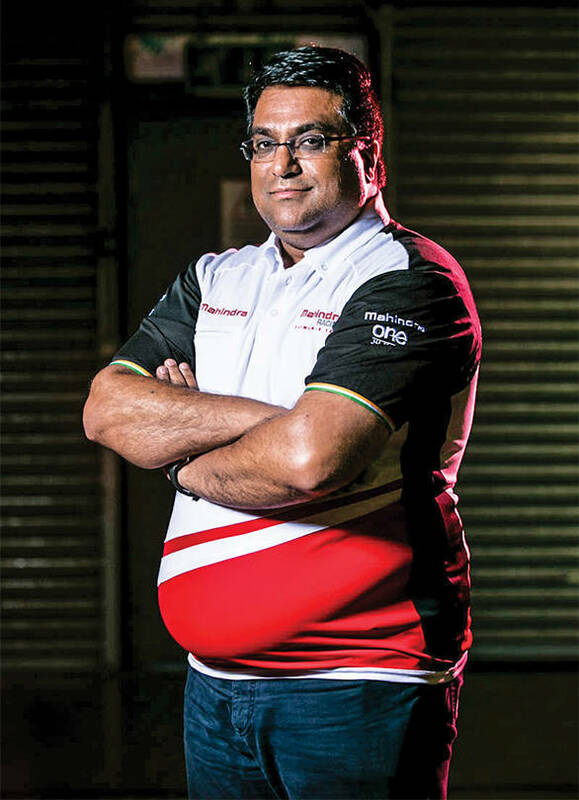 So I ask him whether he thinks he's still the right man for the job to lead Mahindra Racing's electric dreams. "I would still say that I am," he laughs. "The fact that the other teams have elected me to represent them at the FIA, so as the head of the Formula E Team's Association, that is proof that even they have faith in me." But there's still no denying that the pressure is on. While heads didn't really roll after the end of the first season, Gill also says that it was because they knew, during the season, that they weren't where they ought to have been. Their strength, he believes, lay in their willingness to make tough decisions. Whether it was changing drivers, or changing their key partners. And it's results that they are looking for in Season 2. What these results will be, time will tell. For Mahindra, it will be the case of undoing mistakes of the past and working towards delivering on the potential they believe they have. There's plenty of proving still to be done.